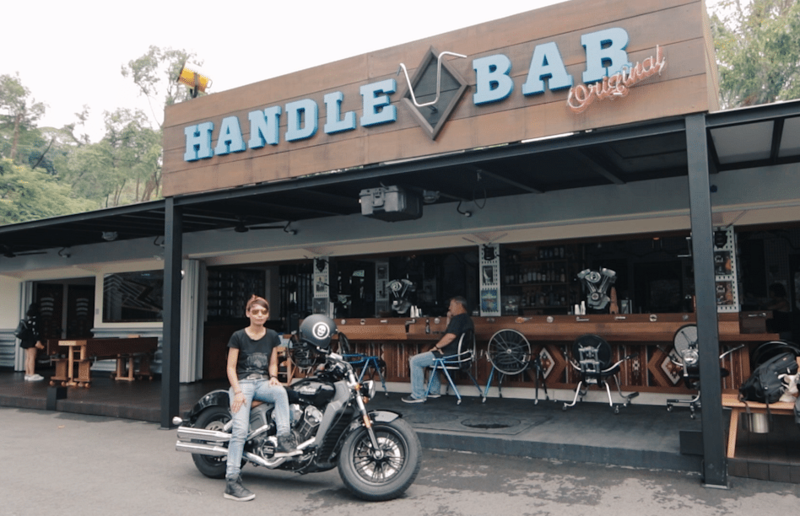 Black leather, roaring tail pipes, and the Harley Davidson riders of The Street Coyotes MC bring you on a ride this episode through the beauty of the open road, and to the most authentic biker bar in Singapore, Handlebar. SINGAPORE - Riding a Harley-Davidson motorcycle used to come with negative stigma. Leather saddle bags, fringe trimmings, the retro bad boy look, and an attitude of disdain for authority figures. Even Singaporeans who did not grow up riding the American Harley Rider wave had a tendency to associate these riders with some negative connotation. InstaScram hops onto the saddle of a Harley Rider in this episode and we find out that the culture of ostracising other bikers who ride different kinds of bikes is long gone. We ride with the Street Coyotes Motorcycle Club, a family of Harley-Davidson bikers, established in 2004. Just like all groups with a shared passion, its members go for frequent adventures to Ipoh, Kuala Lumpur, Phuket, and even as far as Kerala in India. Even their supper or breakfast rides go a bit farther than your neighbourhood kopitiam. Try Port Dickson or Desaru for starters. This brotherhood of bikers participates in numerous charity rides as well: Nurses’ Day, Hari Raya rides, and its members have also teamed up with a 148-member riding group of Harley-Davidson bikers to Kota Tinggi, Malaysia, to present an orphanage with $11,000 in cash donations. Some of the other Singapore groups involved in the charity ride included the Harley Owners Group - Singapore Chapter, Bandidos Singapore and Mad Dog Motorcycle Club. To get a sense of just how such a convoy would travel long distances, the InstaScram team rode around Singapore with the Street Coyotes. What struck us most about riding with them was their innate road discipline and how they constantly look out for the safety of other road users. To the uninitiated, Harley riders might get a lot of flack for being a rambunctious, arrogant bunch. But after riding through streets and expressways with them, the allure of being part of such a prominent and seasoned group of riders became simple to comprehend. This week, I rode an Indian, which is a brand that has long been a direct competitor to Harley-Davidson. But, as I rode through the streets of Singapore, the fraternity of low-riders recognised all bikers as one. And there’s another place in Singapore that stands with all bikers - the only bar here that’s run by bikers, for bikers - Handlebar. Handlebar was established in 1999 as Singapore’s first biker bar and serves American cuisine. Some will remember the first outlet in Jalan Mempurong, Sembawang, which closed in late 2016. The new premises, ensconced near the entrance of Gillman Barracks, is proving to be hit, with indoor and outdoor seating, and retains the biker charm of the original. You must check out the bathroom mirror shards taken from motorcycles, the skeletons posing with cigars and the biker memorabilia used as furniture. The owners are motorcyclists as well, and their love for the ride comes across in the biker den they have “recklessly kick-started”, serving up excellent food with a great ambience. Handlebar was also one of the venues used to film an episode in Season 2 of Gangland Undercover, a History Channel show based on the outlaw biker culture in the United States. In 2017, Harley-Davidson Inc. celebrates its 114th year of producing iconic motorcycles. Its reputation and timeline of manufacturing some of the best American muscle machines remain undisputed. 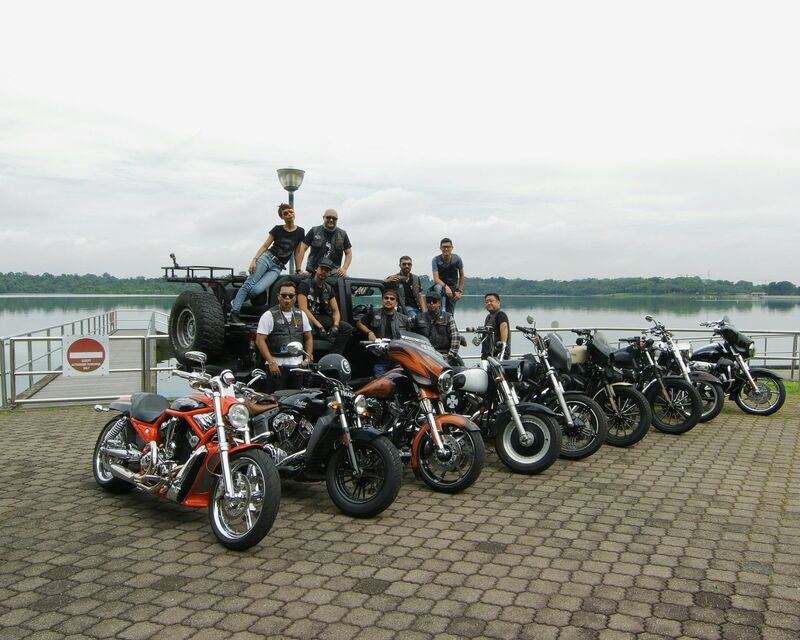 And here in sunny Singapore, the brand remains celebrated too, in the good company of the Harley Riders of Singapore.